As a Diamond Contractor for Mitsubishi Electric Cooling and Heating, we are proud to provide a wide range of products for both Residential and Commerical customers. 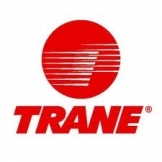 Nel and Sons Air Conditioning is a Trane Air Conditioning Comfort Specialist with expertise knowledge of Trane products available for both Residential and Commercial. Product information coming soon! Nel and Sons Air Conditioning is a Certified Dealer for all Carrier Air Conditioning products. Product information coming soon!